• Natural Talalay latex offers resilient response and immediate recovery for conforming support with the right amount of pushback. 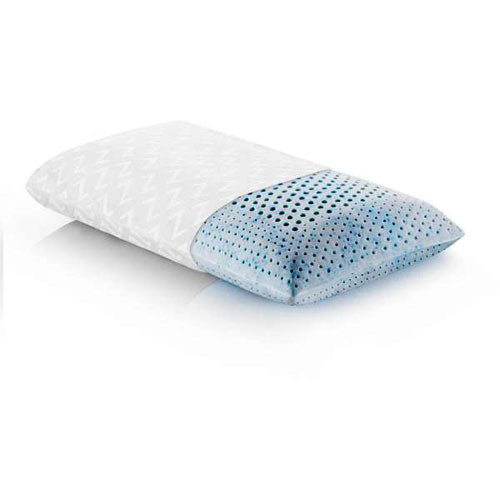 • Infused with gel material that captures and distributes heat for a more comfortable sleep climate. • Zoned Technology™ design cradles the head while supporting the neck. • Soft rayon from bamboo velour cover is removable and washable.